Yet Arabic may soon get a tacit demotion. On May 7, Israeli lawmakers approved the wording of a long-discussed bill that would define Hebrew as Israel’s “national language.” Days later, after a rowdy debate in the parliament, a majority of lawmakers voted for it. The legislation now faces two more hurdles before it officially becomes law, but Prime Minister Benjamin Netanyahu and his ruling right-wing coalition strongly support it. Ahmad Tibi, one of Israel’s most popular Arab politicians, agrees. "This is a racist nationalistic law whose purpose is to sideline the Arab minority,” he says in a WhatsApp message written in Hebrew. “It is strange that 69 years after its establishment, the state of Israel is acting in such a demonstrable sense of insecurity." The bill comes as a wave of violent attacks by Arab Israelis and West Bank Palestinians has led some Israeli leaders to accuse the country’s Arab population of working against the state. Many Arab Israelis disagree but claim they face widespread discrimination from the government. Aside from the bill, they point to Netanyahu’s Election Day warning to voters in 2015 that Arabs were “heading to polling stations in droves” (he subsequently apologized) and a proposed bill to limit the Muslim call to prayer in Israel and East Jerusalem. 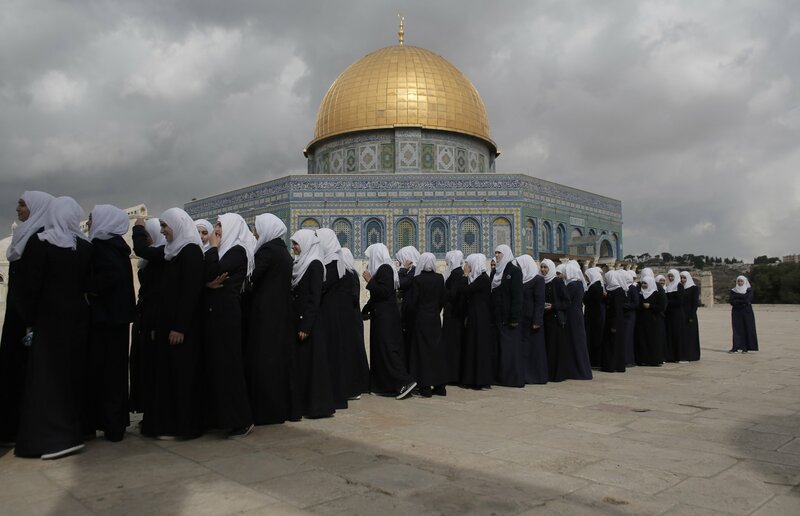 Either way, if the bill passes, some analysts say it will be another blow to Arab-Jewish co-existence—at a time when U.S. President Donald Trump is traveling to the region in hopes of reviving the moribund peace process. “I think having…Arabic…as an official language is a recognition that there is a minority that is a valued part of the society,” says Yossi Mekelberg, a fellow at the London-based think tank Chatham House. Implicitly downgrading the language, he adds, sends a very different message to Israel’s Arabs: You do not belong here.